Nick's Pub Gives Back! Interested in a Donation Request? 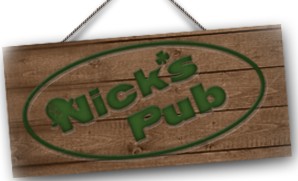 Send a stamped envelope with your Event Flyer to Nick's Pub. Please include your contact information and return address to be considered for a donation. Thank you for your ongoing support. Visit our Sister Bar Soha!